The 154th New York Infantry is one of the more fortunate of Civil War regiments. It has enjoyed what is perhaps unparalleled focus from a single historian, a man who for the past four decades has intensively studied the unit, its men and what it meant to serve in its ranks. Mark Dunkelman has now published four books on the New Yorkers (with a fifth in press), and along the way has received critical praise from some leading American Civil War historians, including James M. McPherson, Harry W. Pfanz, Earl J. Hess and Steven E. Woodworth (for a list of Mark’s books see his site here). His sixth book will be a biography of the Colonel of the 154th, Irishman Patrick Henry Jones. I had the pleasure of meeting Mark on a recent visit to Ireland while he was conducting research for the volume. He has taken the time to write a guest post on Jones for this site, and includes an appeal for information from the readers of Irish in the American Civil War. When former Civil War Union brigadier general Patrick Henry Jones died in 1900, a eulogist declared, “His memory shall not fade among men.” This assertion proved to be incorrect. 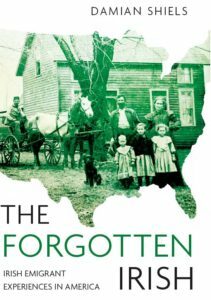 Jones was one of the leading Irish-Americans of his era, but today he is generally forgotten. I’m excited to be working on a biography that will resurrect the memory of a deserving soldier and political figure. This is not to claim undue significance for Jones. He was a secondary figure in American history—but one who stood just a step away from the highest places of power in both military and civilian life and who engaged with some of the most prominent men of his day. Jones was born in County Westmeath in 1830 and came to America with his parents in 1840. The family settled in Cattaraugus County, New York. Ten years later Jones embarked on a career as a journalist, but in 1853 he switched to the study of law. That year his parents and siblings moved west, eventually joining a Roman Catholic colony in Nebraska Territory. Jones was working as a lawyer in the Cattaraugus County seat, Ellicottville, when he married Sarah Morris, daughter of an Episcopalian minister, in 1859. The couple had three children: Thomas M., born in 1861, and twins James Morris and Anna, born in 1866. Anna died months after her birth. When the Civil War erupted, Jones enrolled to serve two years in one of the first two companies raised in Cattaraugus County. Shipped to New York City, the Cattaraugus men were assigned to a regiment otherwise composed of Irish militiamen from the city. 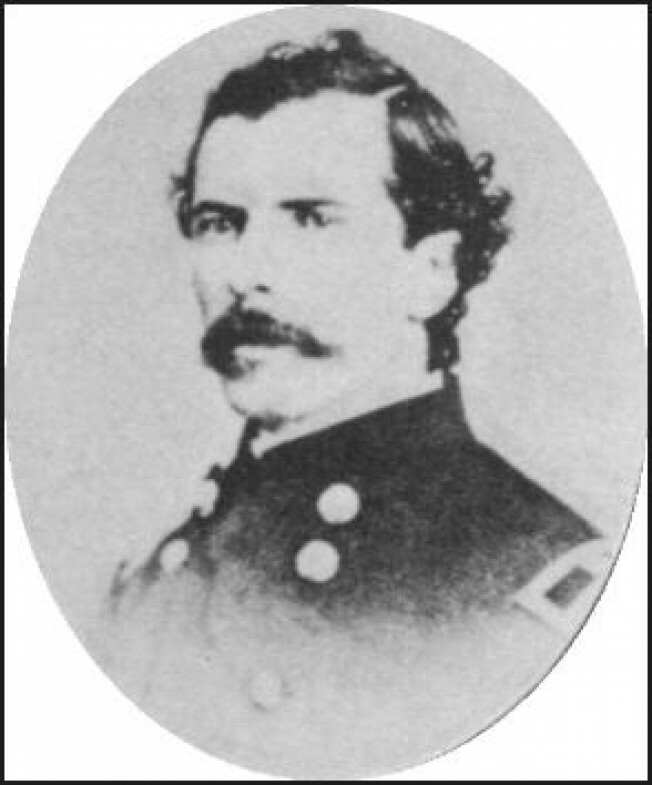 Thus Jones was mustered in as a second lieutenant of Company H of the 37th New York Volunteer Infantry, the “Irish Rifles.” In November 1861 he was promoted to first lieutenant and adjutant and in January 1862 he was mustered in as the 37th’s major. He fought with the regiment during the Peninsula campaign at Williamsburg and Fair Oaks, where his good conduct won the commendation of his commander. Then he was commissioned colonel of the 154th New York, a three-year regiment raised in the summer of 1862 in Cattaraugus and neighboring Chautauqua County. The 154th was assigned to the Eleventh Corps in the Army of the Potomac. When the regiment attempted to stem Stonewall Jackson’s famous surprise flank attack at Chancellorsville on the evening of May 2, 1863, Jones was wounded in the right hip and captured. Paroled two weeks later, he was not exchanged until October. He rejoined the 154th at Lookout Valley, Tennessee, and led the regiment in the Chattanooga and Knoxville campaigns. Four days after the opening of the Atlanta campaign, on May 8, 1864, Jones was injured in a fall from the palisades atop Rocky Face Ridge, Georgia, during the battle of Dug Gap. On his return from the hospital, on June 7, 1864, he took command of the Second Brigade, Second Division, Twentieth Corps, which he led for the remainder of the Atlanta campaign and during Sherman’s March to the Sea. Laid low with chronic diarrhea, he was sent north from Savannah to recuperate, thus missing much of the Carolinas campaign. He rejoined his brigade at Goldsboro, North Carolina, on March 30, 1865, and led it through the end of the war and the Grand Review in Washington. By then he was commissioned a brigadier general, becoming one of twelve native Irishmen to serve as general in the Union army. Of the dozen, only Thomas A. Smyth’s military record outshined Jones’s. A Democrat before the war, Jones became a Republican during the conflict. As such he was elected clerk of the New York State Court of Appeals in the November 1865 election, launching his political career. When the celebrated Charles G. Halpine (the County Meath native whose nom de plume was “Private Miles O’Reilly”) died in 1868, Gov. Reuben E. Fenton appointed Jones to finish Halpine’s term as register of New York City, with the understanding that Jones would donate the office’s profits to Halpine’s widow and children—an act of generosity that was greatly appreciated by the Irish-American community. In 1869 President Ulysses S. Grant, on the urging of Fenton and Jones’s friend Horace Greeley, appointed Jones postmaster of New York City, one of the biggest patronage plums in the country. In 1874 Jones was nominated by both the Republicans and Independent Democrats for register and was the only non-Tammany Hall candidate to win election in the citywide races. Jones’s political career was derailed when he became enmeshed in scandals and corruptions caused by underlings. Then he was inadvertently involved in the most sensational and sordid crime of the era—the theft of the corpse of the wealthy department store magnate (and native Irishman) Alexander T. Stewart. This series of blows apparently forced Jones from the public stage. He moved from Manhattan to Staten Island, disappeared from the newspapers, and died alcoholic and impoverished. He is buried in St. Peter’s Cemetery in Port Richmond. His widow Sarah moved to Pennsylvania to live with a niece, Helen Hoopes, who had spent her childhood with the Jones family. Sarah Jones died in Philadelphia in 1912. In years of research I’ve documented Jones’s military and civilian careers using his correspondence, that of his contemporaries, the extensive press coverage, and a multitude of other primary and secondary source materials. I’ve visited his Civil War battlefields and sites associated with him and his family in Ireland, western New York, Nebraska, and New York City. I’ve written a 300-page first draft, which will be fleshed out and amended as my research continues. Several nagging questions remain unanswered. Did Jones’s brother Richard serve as reported in the Confederate army? What happened to Jones’s two sons after his death? Have descendants of Helen Hoopes preserved any Jones family memorabilia? Damian Shiels has proven to be a valuable ally in my quest, and I thank him for inviting me to post on my project. If any readers have material on Jones, I’d be grateful if they would contact me at nyvi154th@aol.com.